For some people, shopping for a new car brings a great amount of stress and anxiety. It’s understandable; this is one of the biggest purchases you’ll ever make. One of the main reasons people dread looking for vehicles is because they have had bad experiences in the past. If you learn how to stay away from common errors when you shop around for new Nissan vehicles near Slidell, LA, you can turn dread into an occasion to celebrate. Pricing is a significant part of the equation when it comes to shopping for new Nissan vehicles. Many people arrive at the dealership with a figure in mind of how much they can afford to pay each month for a vehicle. While this is certainly important, it shouldn’t be the only financial element you look at. Focus on the big picture and consider the interest rate and loan term. The longer the term, the smaller the payment will be. This may appeal to you on the surface, but in this scenario, you’ll pay more in the long run. Except in rare circumstances, nothing says you have to buy a vehicle today. There are numerous choices of Nissan cars, trucks, minivans, and SUVs to choose from near Slidell, LA. If you wait a few days or weeks, appealing options will still be available. If you act too fast, you may end up with something that isn’t a good fit. You’re better off taking your time and looking at several different models to ensure you know what you need. You may think the test-drive is only important for used cars and not new Nissan vehicles. This is a false notion. It’s critical that you take your prospective new car out on the road before you buy it. This will help you see how it handles the road in various conditions. The test-drive also may reveal that the interior features don’t fit your preferences. If you shop a new car, first research the pros and cons of leasing and buying and when each option might make sense to you when you need something reliable to drive near Slidell, LA. Don’t automatically go for one offer until you get payment information on both of these. 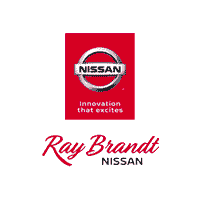 As you look for new Nissan vehicles in areas close to you and near Slidell, LA, keep Ray Brandt Nissan in mind. This trusted dealer has excellent customer service and selection.